All very solidly researched and presented as one would expect from Roesdahl. At this point, however, it felt a bit dated. Still, the foundation is good, and there are worse places to get a comprehensive start on understanding viking age Denmark. Style-wise, I felt like the book got better as it went along. I was bored in the beginning but quite engaged by the fifth chapter or so. 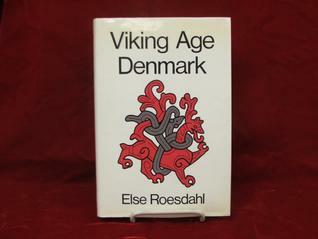 Else Roesdahl Susan Margeson Kirsten Williams - Else Roesdahl is Professor in Medieval Archaeology at the University of Århus, Denmark, and Special Professor in Viking Studies at the University of Nottingham, England. Knight of the Order of Dannebrog since 1992.